With the growth in popularity of the ketogenic diet, we wanted to get the facts on how it works, who the ideal candidate is, and what the misconceptions are. We talked to three experts on the topic. This is our first interview in a series, with Ryan Lazarus, MS, CNS, DC. Ketosis is an energy state the human body uses when carbohydrates are low or when food is scarce or in a time of fasting. It’s a vital, evolutionary mechanism that reboots metabolism to keep us resilient and to keep us sharp in times of famine. Essentially, it creates metabolic flexibility in that we can use fats efficiently as fuel when glucose is not available. The ketogenic diet is a strategic, specific food plan that facilitates the production of ketone bodies. 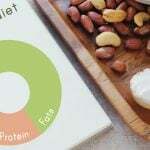 The macronutrient distribution is roughly 70-75% fat, 20-25% protein, and 5-10% carbohydrates. The fat content is very important. The ketogenic diet emphasizes quality, unprocessed, healthy fats, such as polyunsaturated, monounsaturated, and saturated fatty acids. This is the form of coconut, coconut oil, coconut products, butter, ghee, olive, olive oil, avocado, nuts, macadamia nuts, good-quality fats that our body can use as clean fuel. 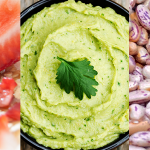 The carbohydrates should be in the form of nonstarchy carbohydrates, ideally a diversity of colorful vegetables, and eating a balanced meal of quality fats, a quality lean, wild, free-range protein, and a diversity of nonstarchy vegetables. What is the history of keto? The ketogenic diet’s birth was in the early 20th century. That prompted interest through certain researchers that started to experiment and document their experience. In the last 20 years, there’s been a handful of great researchers that are spending a lot of time looking into the specifics of ketosis, ketone bodies, the therapeutic benefits of them, and the research is emerging and clearly indicating that it provides many therapeutic benefits for human beings. What are common implications for the ketogenic diet? What is backed up by scientific evidence? 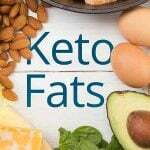 The science is beginning to emerge, and researchers are beginning to understand a little bit about the therapeutic benefits of a ketogenic diet and the state of ketones. A ketogenic diet and ketones act as a reset for the mitochondria, which then can distribute fuels appropriately. Instead of relying purely on glucose, which is poorly stored in the body in the form of glycogen in the liver and in the muscle—roughly 2,000 calories can be stored—athletes have keto-adapted, so in times of intense, long-duration, or frequent exercise, they have the metabolic flexibility and capability to tap into their fat stores for immediate energy. This provides a whole host of advantages. Many of them are the avoidance of hitting the wall, essentially where your available glucose runs out and you have a significant decrease in the efficiency of your exercise and lactate is produced. Well keto-adapted athletes have the ability to use fat and see sustained energy with less oxidative stress. Burning fat and beta-oxidation and the production of ketone bodies is a cleaner fuel than using glucose. Glucose is a faster fuel source; beta-oxidation and fat metabolism produces less oxidative stress. This translates into better recovery, better performance, and less cellular aging. There’s also been research showing the preservation of lean mass in individuals who are keto-adapted. What I recommend is that patients go through a keto-adaptation period to feel the physiological benefits of enhanced mental acuity and sustained energy and less discomfort, optimal recovery, feeling satiated, not feeling hungry all the time, and not dealing with the highs and the lows of the blood sugars. The keto-adaptation period generally lasts anywhere from two to six weeks. The timeframe ranges from person to person. Experiment, see how they do, check lab biomarkers and then implement a sustainable, realistic ketogenic diet. What are biomarkers you use to assess efficacy? It’s important to measure blood markers that generally improve with somebody who is keto-adapted. You see triglycerides lowered; you’ll see HDLs increase. The HDL-to-triglyceride ratio is really an easy ratio to assess insulin resistance, and as we facilitate sensitivity to insulin in a ketogenic diet, you’ll see those lab markers improve. Looking at the specific types of LDL, the lipo-proteins, is very important. The major shifts we see are improved fasting glucose and fasting insulin and obviously hemoglobin A1C. Other markers that are viable are c-reactive protein. You’ll see individuals who are keto-adapted or efficient fat burners have lower amounts of CRP. How is it recommended to test for ketone levels? There are three main ways an individual can check ketones. The first and preferred is through blood. It’s just like a finger prick when you check your glucose as a diabetic will. There are monitors that can show the levels of beta-hydroxy-buterate in blood. The second is through urine. That checks a level of aceto-acetate. The individual can check acetone through the breath. The levels of ketones in a nutritional ketosis range from about .5 to 3 millimoler per liter, and we know the benefits of that range. I’ve read research showing that for improved body composition and weight loss, a good range would be .5 to 1 millimoler, and for neuro or cognitive benefits over 1 to 2 millimoler, and for reversal of metabolic issues and mitochondrial reboots, levels can range anywhere from 1 to 5. What patient types are not recommended to follow the keto diet? The most obvious ones are individuals who have some form of a genetic mitochondrial deficiency that they can’t break down fats or the Krebbs cycle doesn’t work. Individuals would know these—they would know right at birth if they have them. Other absolute contraindications should be people who have some type of digestive insufficiency, a history of pancreatitis, insufficient lipase and/or gallbladder issues just because of the inability to break down fat appropriately. People with gastric bypass that have an impaired mechanism or an anatomical change in how they process food and the volumes of food might think twice about using the ketogenic diet. Pregnant women or women who are breastfeeding have a unique physiology, and I don’t think that’s an appropriate time to really experiment on their body. Individuals that are severely insulin-resistant need proper supervision and should do this strategically with a practitioner. Others are athletes that want to start a ketogenic diet right before a season. You need time to see how your body responds. Recent research has indicated that there are specific carbon lengths that provide superior benefits than others, specifically C8— caprylic acid—and capric acid, C10. There are many different acids in a medium-chain triglyceride, but C8 and C10 can be used as a direct fuel for the brain; it does not have to be broken down by the liver and by lipase. It can provide sustained energy for an individual. 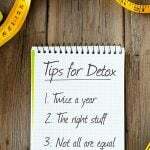 There’s also research showing that it can facilitate ketone salts to the brain, acts as a shuttle. Does someone following this program have to restrict calories? A common mistake many people make is, when they start a ketogenic diet, they still use a diet mentality, meaning that they want to exercise more, and they want to reduce their calories. No matter how much instruction and how many guidelines I give patients, there is always a weight-loss mentality, which means exercise more and eat less. That is very important to refrain when you’re on a ketogenic diet. A ketogenic diet is not a caloric restriction diet. 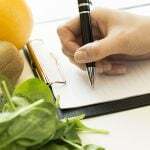 It’s a strategic change in the macronutrient content, relying on fat as the primary fuel, and if you restrict calories at the same time as changing the macronutrient profile, individuals will have many other symptoms and have a hard time adapting to it. 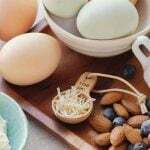 The ketogenic diet, done appropriately, is the same amount of calories that you need for your basal metabolic rate or adjusted metabolic rate, but strategically moving fat as the primary micronutrient, not restricting calories. 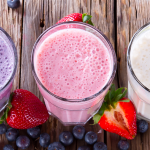 As a Certified Nutrition Specialist™ and Certified Functional Medicine Practitioner™, with a Masters in Human Nutrition and Functional Medicine, Dr. Lazarus implements functional medicine protocols with every patient. Functional medicine practitioners focus on the fundamental underlying factors that cause every patient’s symptoms and conditions. Dr. Lazarus is an adjunct faculty for a Masters in Nutrition program and on the editorial board of the International Journal of Human Nutrition and Functional Medicine. 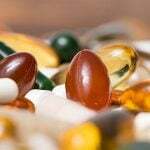 He also consults with nutraceutical companies regarding specific condition formulations. He receives frequent requests to present and lecture about Functional Medicine around the Napa Valley and San Francisco Bay area. 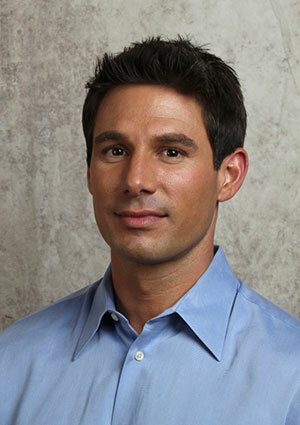 He is a lecturer and presents Functional Medicine research and protocols nationwide. He is featured on The Vine 99.3 KVYN radio station in Napa Valley. He received his Bachelor’s Degree in Kinesiology from Cal Poly, San Luis Obispo and a Master’s Degree in Human Nutrition and Functional Medicine from University of Western States, Portland. This entry was posted in Body Composition, General Wellness, Ketogenic, Sports Nutrition and tagged Keto, Ketogenic, Nutrition, Ryan Lazarus on February 22, 2018 by Metagenics.